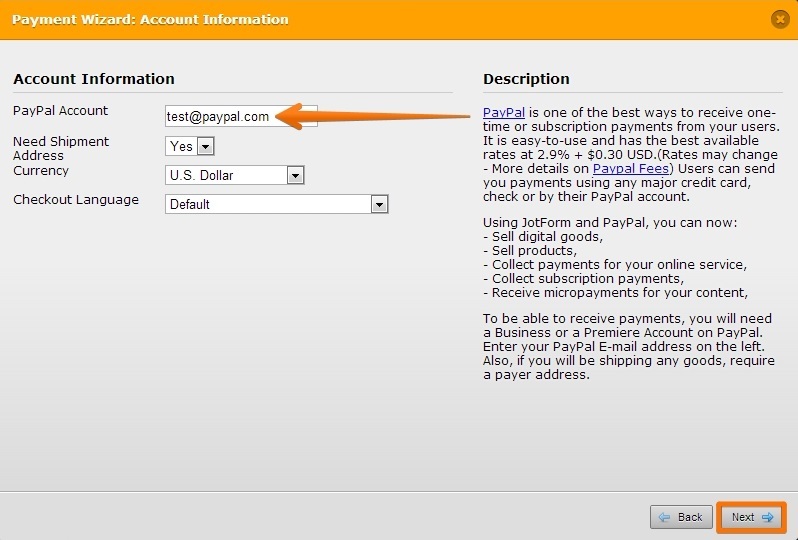 Original JotForn PayPal payment pages set up with PayPal account on original primary email. Now wish to change primary email. Does this affect operation of the JotForm payment pages? If you meant that Paypal e-mail account had been changed, then, YES -- the Paypal e-mail account setup on the payment tool in JotForm must be updated to that of the new Paypal e-mail account. To do this, just simply run the payment tool configuration wizard again and supply the new Paypal e-mail account. Hope this answers your question. Inform us if there is more we can asssist you with.